암스테르담, 네덜란드의 DB's b&b | 호스텔월드에서 예약하세요. 표준 이용 약관에 동의하시면 확인란에 체크해주세요. 예약을 확정하기 위해 표준 이용 약관에 반드시 동의해야 합니다. 최소 7일 전 또는 그보다 더 일찍 예약 시 무료 취소가 가능합니다. 마지막 12 달에있는 리뷰와 함께 전용 속성은 평가를받을 수 있습니다. The Jordaan area of Amsterdam is one of the most colourful, charactistic and welcoming neighbours of the city. Located in the very heart of the Jordaan, DB's B&B is not far from Central Station, close to bars, restaurants, the Monday textile and Saturday food/farmers markets and tourist attractions. The Jordaan is the oldest area of Amsterdam, full of history, interesting architecture, and a great variety of shops. The famous Nine Streets are only a 10 minute walk from here. The B&B is actually a spacious and cosy one-bedroom apartment. Guests enjoy private use of the entire apartment. The bedroom comprises a twin/double bed, TV/DvD, and adjoining luxury bathroom. There are also two comfortable, single foldout beds, suitable for young people and children. A baby cot is also available. The bedroom leads out onto a sunny balcony and roof terrace where you can enjoy the surrounding area. The apartment is equipped with linen and towels, TV/DvD, and our property also features internet access for guests use. 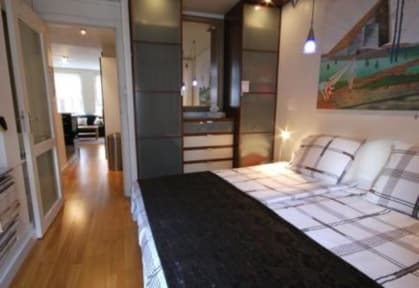 The entire apartment has been renovated and is in excellent condition. 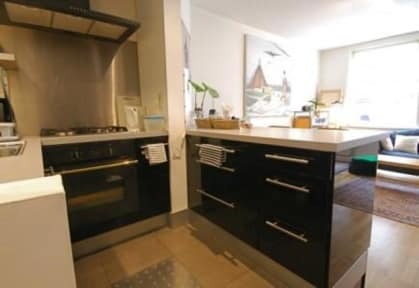 We also offer guests a kitchen to prepare breakfast. The refrigerator is well stocked with items to start you on your self-service breakfast. Our friendly staff will be happy to offer travel information and assist you in any way to make your stay more enjoyable. We can arrange a private tour of the Jordaan and surrounding area and visit some of the hidden gems. In the summer, we can organise a private boat tour through the canals, with drinks and snacks, giving you a view of Amsterdam of the past. Check-in is at 14:00. Early arrivals can leave their luggage and return later. Check-out is at 11:00. Guests can leave their luggage if their departure time is later in the day. 비밀 번호가 기억 나지 않으세요?